The U.S. Department of Energy has selected the Arizona State University led Algae Testbed Public-Private Partnership for a $15M award for its Advancements in Sustainable Algal Production opportunity. This network will support companies and research institutions as they work to meet the nation’s energy challenges. 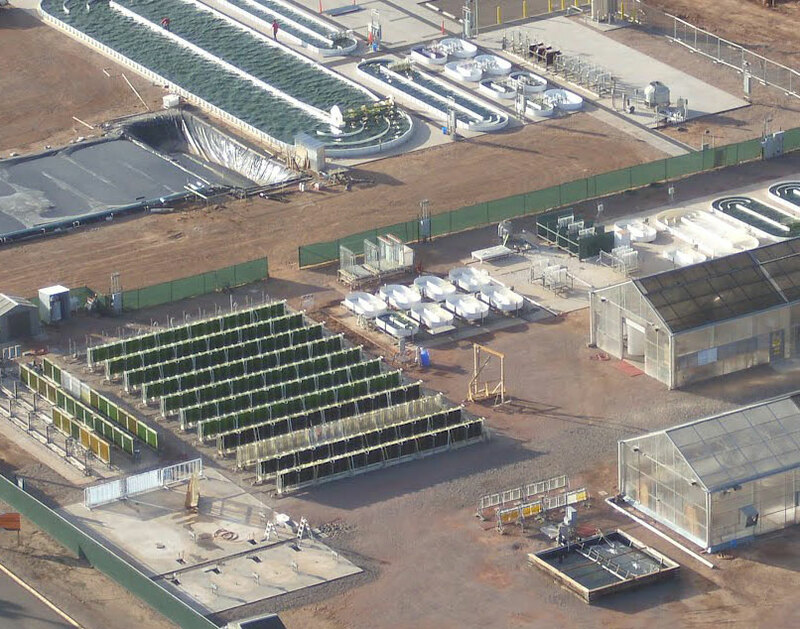 The U.S. Department of Energy (DOE) has selected the Arizona State University (ASU) led Algae Testbed Public-Private Partnership (ATP3) for a $15M award for its Advancements in Sustainable Algal Production opportunity. The ATP3 partnership is led by the Arizona Center for Algae Technology and Innovation (AzCATI) housed at ASU’s Polytechnic campus with support from national labs and academic and industrial partners including the National Renewable Energy Laboratory (NREL), Sandia National Laboratories, Cellana LLC, Touchstone Research Laboratory, SRS Energy, Cal Poly San Luis Obispo, Georgia Institute of Technology, University of Texas at Austin, and Commercial Algae Management. ATP3 will function as a testing facility for the algal research community supporting the operation of existing outdoor algae cultivation systems and allowing researchers access to real-world conditions for algal biomass production for biofuel. Testbed facilities for the partnership are physically located in Arizona, Hawaii, California, Ohio, and Georgia. DOE’s investment from its Biomass Program in ATP3 means companies and research institutes will now have access to facilities and data from long-term algal cultivation trials for use in establishing a realistic and coherent state of technology for algal biofuels. AzCATI was created by grants from Science Foundation Arizona and its President/CEO William Harris. AzCATI and algae research and development also benefited from the strong support of Arizona Governor Janice Brewer. Two new algae-related bills passed in Arizona classify algae as agriculture and allow for growth and harvest of algae on state trust lands. These advancements in the state create a more attractive environment for industry. Arizona is poised to be a preferred destination for algae-based companies to form and flourish. For more information about AzCATI visit http://www.azcati.com. About the Arizona Center for Algae Technology and Innovation: AzCATI, located at ASU's Polytechnic Campus in Mesa, serves as a hub for research, testing, and commercialization of algae-based products. These include biofuels, pharmaceuticals, nutraceuticals, and other algae biomass coproducts. The center also serves as a learning environment for the next generation of scientists and engineers. AzCATI provides open test and evaluation facilities for the algae industry and research community. The center can assess the performance of individual and combined unit operations across the algal value chain. AzCATI is embedded within ASU’s College of Technology and Innovation and is part of the LightWorks initiative, supported by ASU’s Office of Knowledge Enterprise Development. About National Renewable Energy Laboratory: NREL is the U.S. Department of Energy's primary national laboratory for renewable energy and energy efficiency research and development. NREL is operated for DOE by The Alliance for Sustainable Energy, LLC. About Sandia National Laboratories: Sandia is operated and managed by Sandia Corporation, a wholly owned subsidiary of Lockheed Martin Corporation. Sandia Corporation operates Sandia National Laboratories as a contractor for the U.S. Department of Energy’s National Nuclear Security Administration (NNSA) and supports numerous federal, state, and local government agencies, companies, and organizations. Outdoor testbed of the Arizona Center for Algae Technology and Innovation (AzCATI) at Arizona State Unversity's Polytechnic campus. 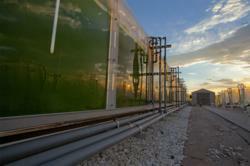 This is one of several testbed facilities that make up the Algae Testbed Public-Private Partnership (ATP3). Photo credit: AzCATIAerial view of the Arizona Center for Algae Technology and Innovation at Arizona State University.